Before we begin Rahab’s story, we need to do some housekeeping. Rahab was not the woman at the well, or one of the women at the cross or the woman at the tomb. 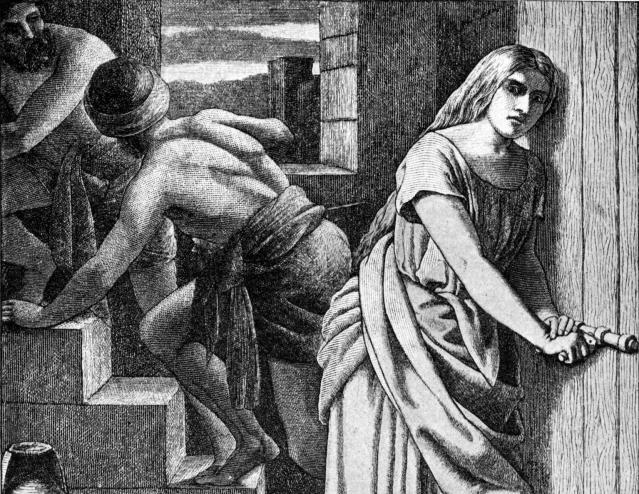 Rahab’s story has its beginning in the book of Joshua, specifically at the time of the fall of Jericho in 1400 BC. Remember that God’s plan A (His plan is always “A”) was to bring Israel out of Egypt and lead them into the land He had promised to them. But their rebellion had resulted in 40 years of discipline in the desert. When the generation of rebellion had died off and a new generation under Joshua came into power, Israel was allowed to go forward into the land they had been promised, a land now inhabited by the Canaanites. Jericho, one of the great Canaanite cities, was central to Joshua’s battle plan. He sent two spies into the city to surveil the opposition. All of Jericho knew they were coming and everyone, from the king on down, was on the look-out for any suspicious strangers. Shortly after arriving in Jericho the two spies, likely aware that all eyes were on them, sought lodging and cover at the home of a prostitute whose name was Rahab. 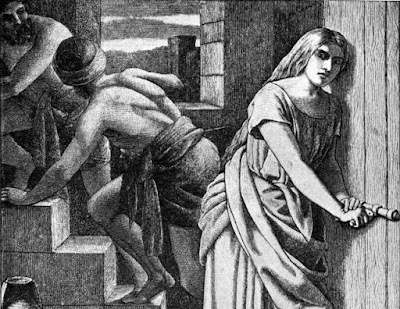 In short order there was a knock on Rahab’s door and soldiers of the king demanded that she send the spies out. To this Rahab replied, “Yes, the men came to me, but I did not know where they had come from. At dusk, when it was time to close the city gate, the men left. I don’t know which way they went. Go after them quickly. You may catch up with them.” (But she had taken them up to the roof and hidden them under the stalks of flax she had laid out on the roof) (Joshua 4-6). By my count, Rahab has told at least four lies in the above passage. That has been deeply disturbing to some people who worry about her example for believers. But, the lies she told made it harder, not easier for her situation. And in choosing to lie to save two strangers she was placing a noose around her own neck. Why would a sinful woman in a pagan culture choose to risk her life for two strangers whose mission—if successful—would destroy her country?